The 7th of July in lunar year is coming next Saturday. It is the Chinese Lovers’ Day!! 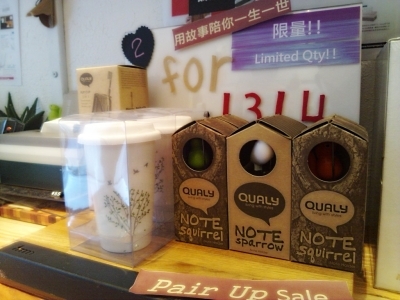 For all items in the Pair Up Sale section, they are now 2 for 131.4 RMB till next week. For those who ask why 131.4, the number 1314 sounds like “forever” in Chinese, so “two of you together forever~”. Come quick! There is a qty limit.